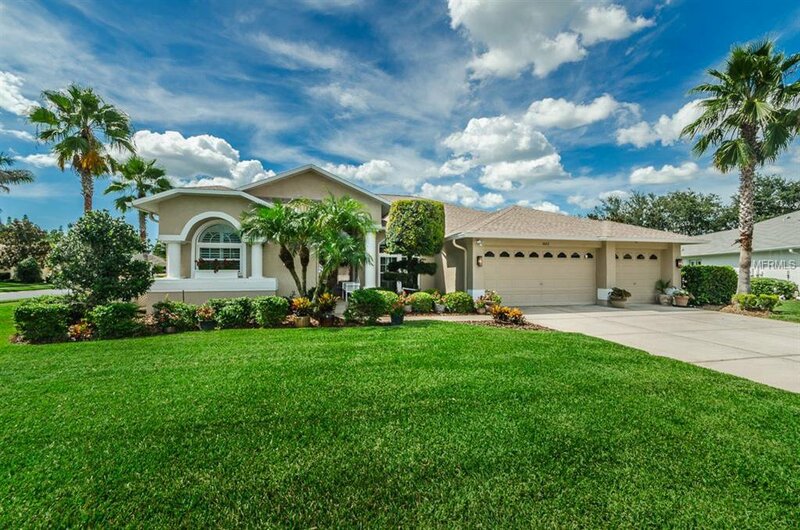 This Renovated Estate Home with Pool Showcases Florida Living at it's Finest. Spacious 3 Bedroom, 2 Bath, 3 Car Garage Home on Beautiful Corner Lot with Lush Landscaping. Many Seller Improvements Include: Full Kitchen Remodel with Custom Cabinets, High Level Granite, Pull Out Drawers & Stainless Steel Appliances; Custom Bar with Built-in Wine Fridge; Updated Bathrooms with Custom Cabinetry, High Level Granite & Bowl Vessel Sinks; 20X20 Tile floors throughout entire home, Closet Built-in Organizers, Upgraded Lighting, Low E Windows, Plantation Shutters, Textured Ceilings, Reroof (2014), A/C (2009), Whole House Generator and more. Additional features include: Oversized Covered Lanai/Florida Room with Vinyl Windows, Freeform Pool (2008) with Paver Patio and Screen Enclosure. The ideal community for the Adult Active lifestyle in this Country Club setting of Heritage Springs, a gated 55+ golf course community. Make your appointment today! Listing courtesy of RE/MAX CHAMPIONS. Selling Office: SELECT PROPERTIES INC.